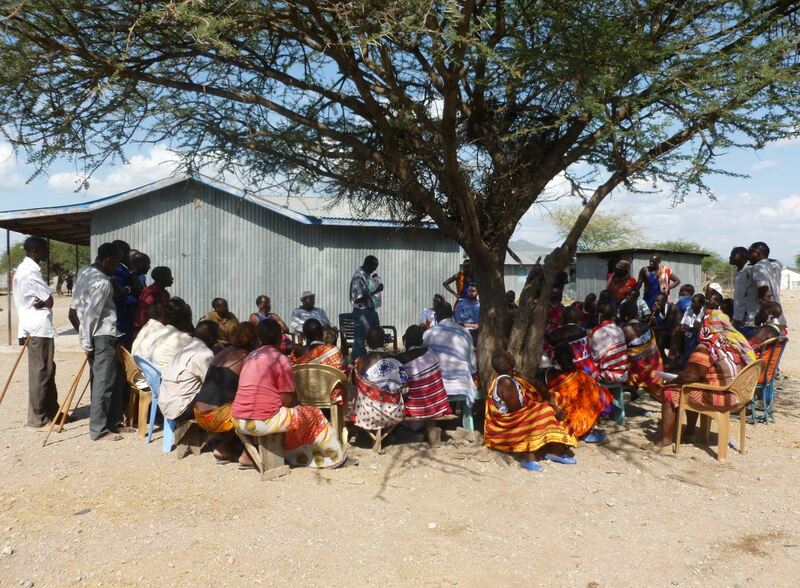 The Energy for Development (e4D) Network aims to enable a step-change in collaborative research and project development addressing the energy needs of rural communities in developing countries. 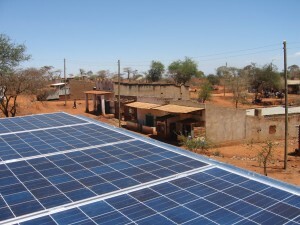 So far e4D has installed six solar mini-grid projects in Sub-Saharan Africa with an installed capacity of 68.4kWp. The work is being led and coordinated by the Sustainable Energy Research Group (SERG) at the University of Southampton. 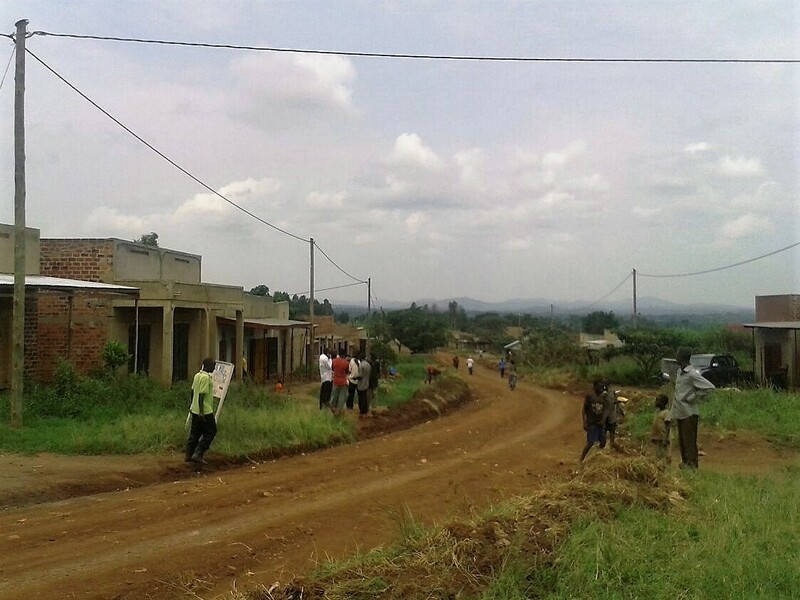 Follow the link to read some quotations from community members in Kitonyoni about the project. Reliable and affordable sources of energy are fundamental not only for wellbeing, but also for economic growth and poverty reduction. Fulfilling the energy needs of developing countries without compromising the environment is a challenge, requiring imaginative policies and methods. Many rural communities do not have access to the national electricity network or the associated benefits in health and quality of life provided by electrical services such as lighting and refrigeration. The installation of modular energy technologies that can be operated independently provides a solution for these areas. The Energy for Development Network aims to develop appropriate, replicable models for energy systems that recognize the socio-economic, financial and technical aspects of supplying energy. 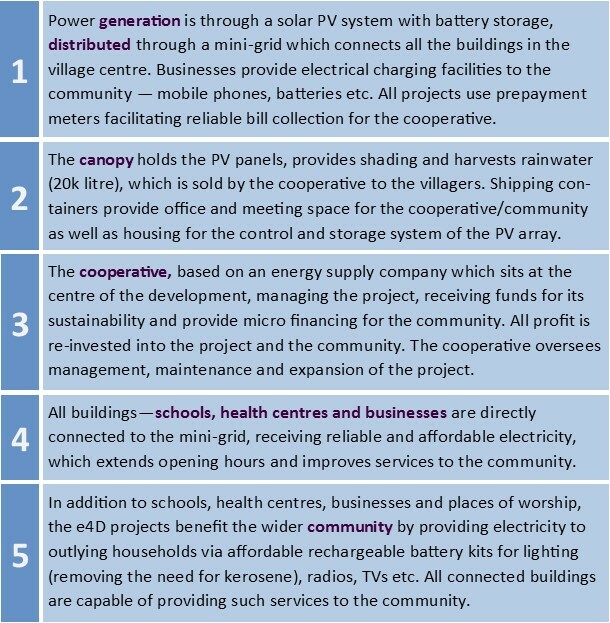 The concept table below summarises the e4D process. 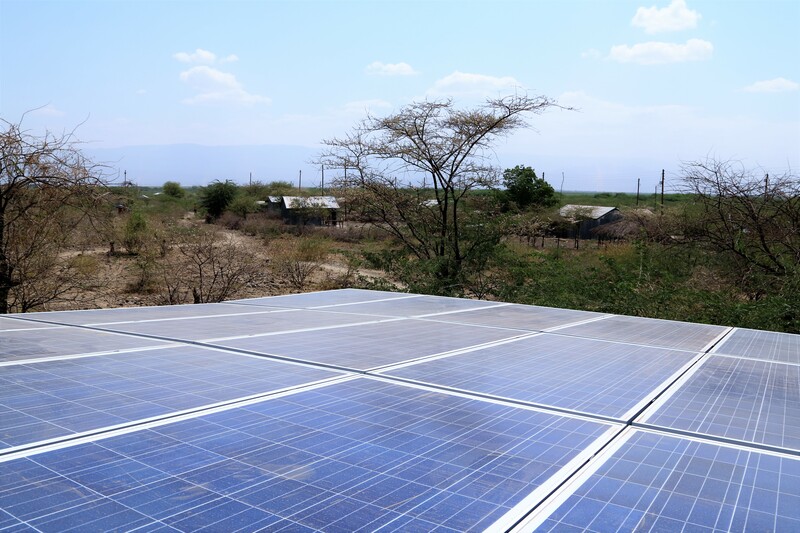 e4D has also designed a 60kWp off-grid solar mini-grid in the north of Kenya, which is due to be completed by the Rural Electrification Authority (REA) in late 2015. There are also plans for further projects in Kenya, Uganda, Mozambique and Zambia – more info to follow.